We hope you had a great 2014! It’s now that time where we must look forward to the fall and SPX 2015. We’re amazed at how much the show has grown and evolved, and we want you to be part of the experience with us. Below is a rundown of what’s going to be happening over the next few weeks! As many of you know, last year we made the move to a split registration system for SPX, whereby half of our tables are awarded by open lottery and the other half by invitation. The process will be the same for 2015. 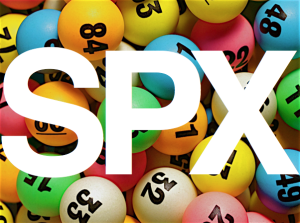 By late January we will notify all 2015 SPX invitees so everyone will be clear on whether or not they should register for the lottery. Just like last year, the lottery will have a simple sign-up and a generous registration period. 1. SPX 2015 invitees will hear from us before the end of January. Tables associated with any invitations not accepted will be rolled over into the lottery pool. 2. The SPX 2015 table lottery will run from February 1 to February 15, 2015 (at midnight eastern time). We’ll widely advertise the lottery opening and, at that time, provide access to an online form to enter the lottery. 3. After entering the lottery, you’ll receive your lottery number. Don’t lose it! Just kidding. We’ll keep a copy and notify you either way if you win. 4. All lottery entries will be reviewed by SPX. What are we reviewing them for? SPX is a showcase for independent comics. If it will not be clear to us that you make such things we reserve the right to remove your lottery entry. If we contact you to follow up with your registration, we appreciate your help in letting us know more about your work. 5. Upon conclusion of our review, we’ll notify the lottery winners for 2015 (yay!). You’ll have a reasonable window of time to pay for your requested table space. 6. We’ll also maintain a wait list (based on the next 50 potential lottery winners). Tables that are not paid for in a timely manner or are subsequently cancelled will be offered to members of the wait list in turn. There are just a few steps to the process, and if you did this last year it should be familiar to you! If you’re new to the lottery this year, it takes just a few minutes. – Beginning February 1, go to the Lottery Registration Form and submit your info (we will post this form on the SPX site, social media, Tumblr, and anywhere else we can!). There will be a full set of FAQ, rules, and other information about your registration available with this form. – An e-mail will be sent back confirming your registration application immediately after you submit your info. Please check your spam folder if you don’t see it within a few minutes! – Within 48 hours we will send you another e-mail with a 6 digit random number provided by Random.org. – We will sort the lottery entrant list by random number in either ascending or order descending based on a computer generated coin flip. – We’ll apportion tables in the order dictated until we run out. – Remaining lottery registrants will be preserved in their lottery order as the 2015 Wait List. – Lottery winners will be announced by mid-March 2015. – Information about the process for paying for the tables will be made available when the lottery winners are announced, with payment processing to begin the end of the month. – Winners will be given until April 15, 2015 to pay for their tables. Payment not received in that time frame will result in those tables in being forfeited and used for the Wait List. SPX 2015 is going to be here so soon! And we can’t wait to welcome you back. It is truly an honor to put on this show for you every year. Thank you for making it basically the best thing. Any questions, do not hesitate to send us a note to EXHIBITORS@SPXPO.COM and we will get back to you with answers as soon as possible! We’re committed keeping SPX an open, welcoming event as well as to using a transparent, democratic process that ensures new creators have an equal opportunity to participate.